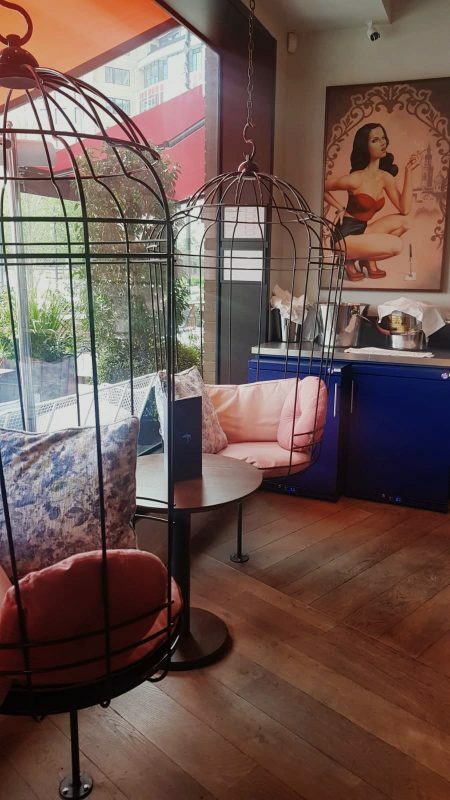 Chelsea’s iconic Bluebird has spread it’s wings and launched further West in the heart of White City. 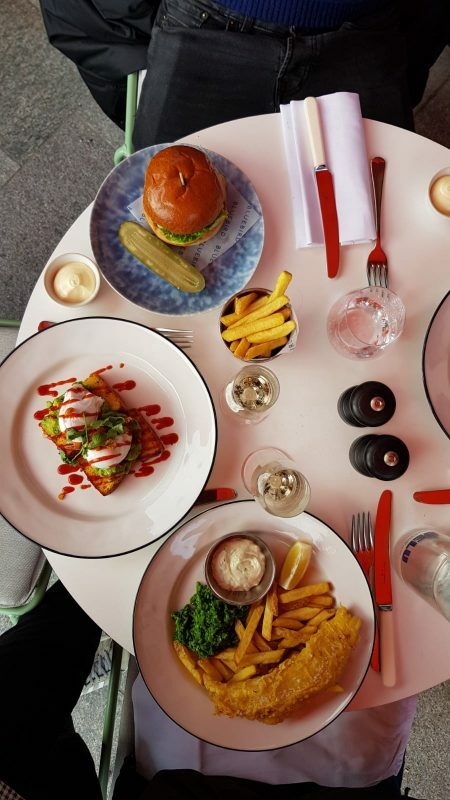 We popped in on a sunny weekend to sit on the warm terrace and try their bottomless brunch offering. The indoor space is expansive with colourful furniture, draped florals and seriously cosy looking hanging window seats. We went for the bottomless fizz option with prosecco topped up regularly by the obliging staff. 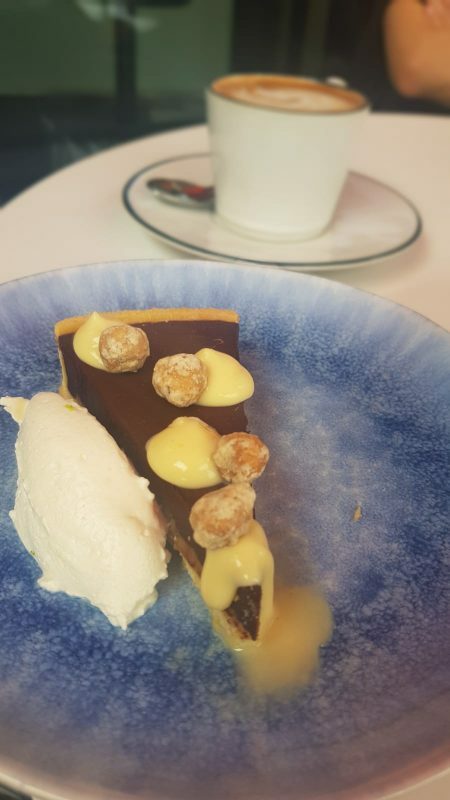 It is priced at a very reasonable £14.50 when dining with 2 courses. The menu is priced at 2 courses for £15, 3 for £20. 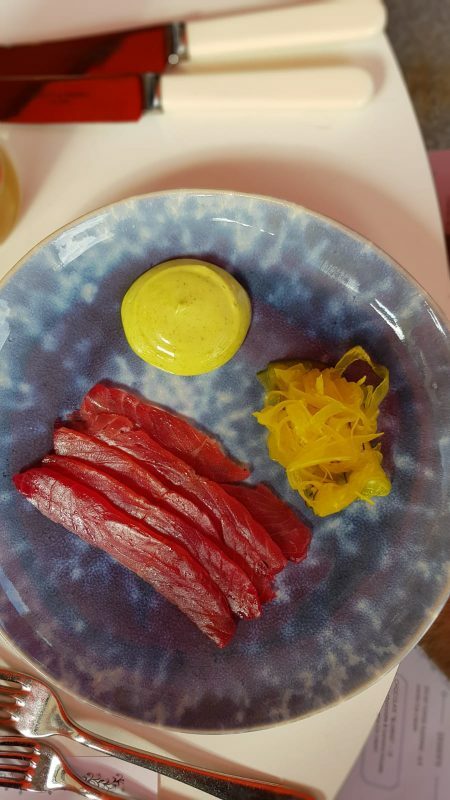 We opted for the crisp fried squid with jalapeno, aioli, lime and the beetroot cured Scottish salmon with dill mayo & pickled cucumber. 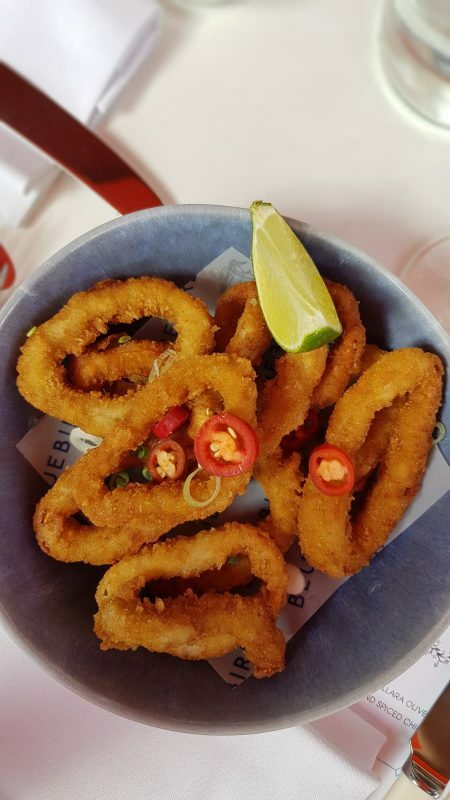 Both were great starters – the calamari had crumbed and fried to perfection with a lovely bite. The salmon made for a lovely light option and the subtle beet flavour through it was delicious. 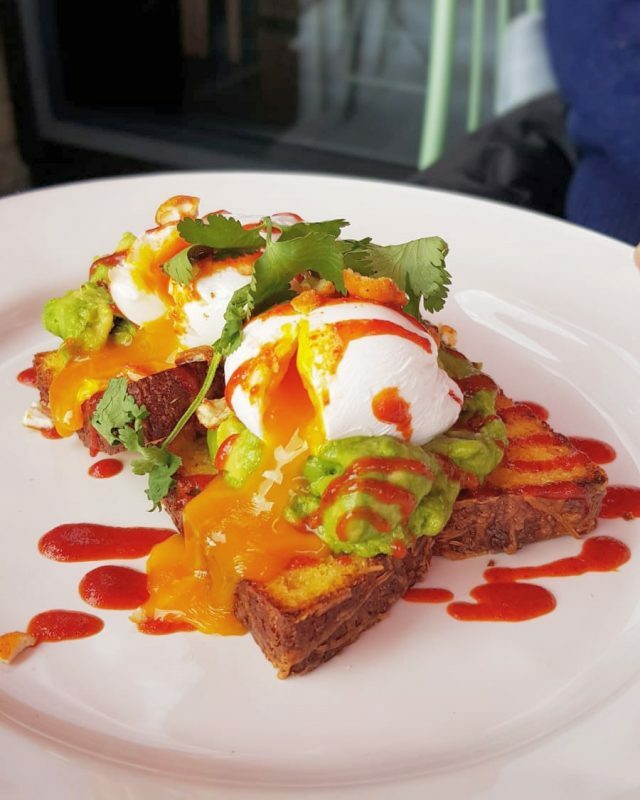 The avocado, poached eggs & cornbread with hot sauce and coriander were an absolute must. An excellent choice, the cornbread was perfectly fluffy, carb-y base for the runny eggs with spikes of heat from the sauce – we loved this dish. 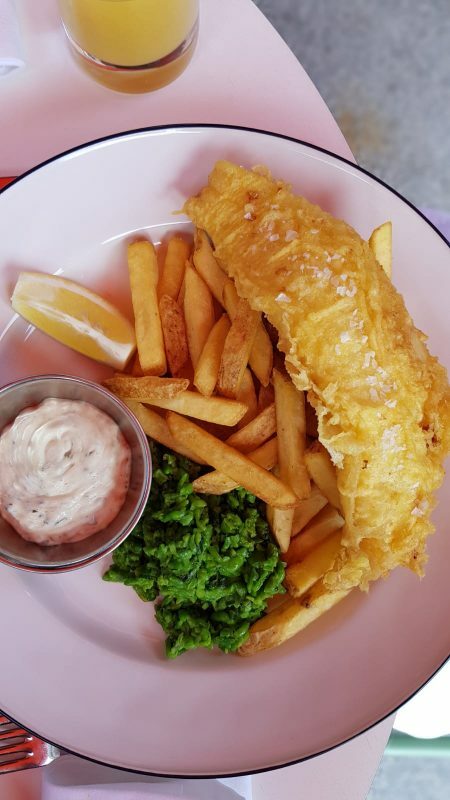 We also tried the fish & chips with battered cod, crushed peas, tartare sauce & chips. A really solid fish & chip dish – the cod was perfectly crisp, chips were crisp and fluffy and the tartare sauce had real punches of flavour. For dessert we tried the pineapple upside down cake with coconut sorbet, lime and passion fruit and the millionaire’s shortbread with kinder cremeux and vanilla cream. Whilst we enjoyed them we felt both could have done with a little more kick of flavours. If you are going for the 2 course option we would recommend the starters! 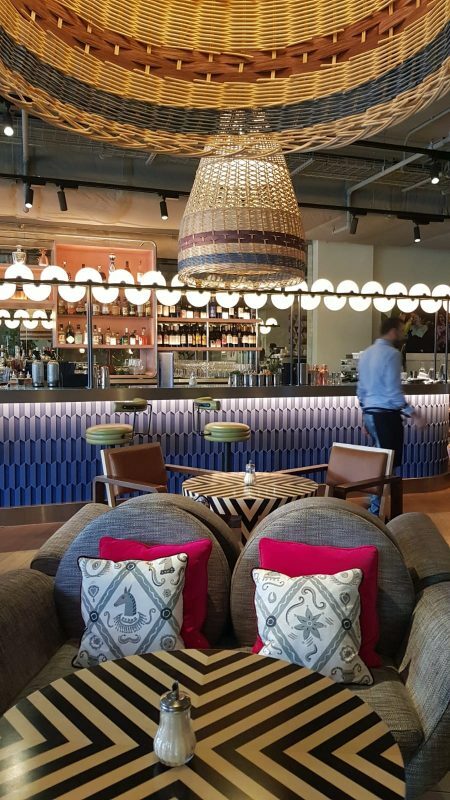 Bluebird is a colourful, upmarket and very pretty space offering an excellent brunch in White City. Interiors are dreamy but so is the food. We loved the inventive twists on some dishes – the cornbread with poached eggs was a real highlight! Staff were also generous with the fizz so you do get your money’s worth. Gorgeous floral interiors, delicious brunch options and bottomless prosecco – what’s not to love? We are putting this on our brunch faves list.